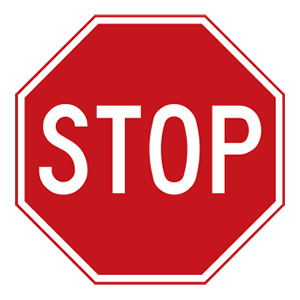 Eight-sided traffic signs warn drivers that they must stop and yield the appropriate right-of-way at an intersection. Drivers may proceed when it is safe to do so. 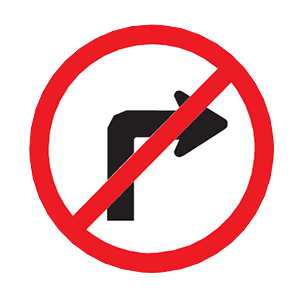 Drivers making left turns must yield to oncoming traffic that is traveling straight. Drivers must always yield to pedestrians. There is a detour ahead. You must stop for flaggers. The road ahead is closed to traffic. The highway ahead is undergoing maintenance. 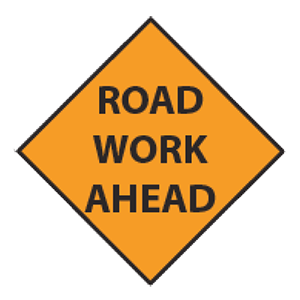 Construction and maintenance signs are orange-colored and are used to notify drivers of unusual or potentially dangerous conditions in or near work areas. This sign warns drivers that they are approaching a construction zone and that they should prepare to lower their speed and drive with extraordinary caution.